Beyond Kyler Murray‘s long-rumored Cardinals fit, landing spots for this draft’s other top quarterbacks are difficult to determine. But Daniel Jones, despite not exactly having impressive college statistics, has gained more steam as a first-round pick. One team has the Duke prospect as the top quarterback on its board, according to Yahoo.com’s Charles Robinson (on Twitter). The Giants are believed to be high on him. So are the Patriots. While one scout wondered (via Ryan Dunleavy of NJ.com) if the former Blue Devils signal-caller would slip to the third round had he not played under David Cutcliffe, who coached both Manning brothers when they were college passers, another scout and a former GM said (via NBC Sports Washington’s Ben Standig) they each would take Jones over Drew Lock. It certainly looks Jones will land in the first round next week. Another first-round hopeful, Marquise Brown, also looks like a lock to hear his name called Thursday. 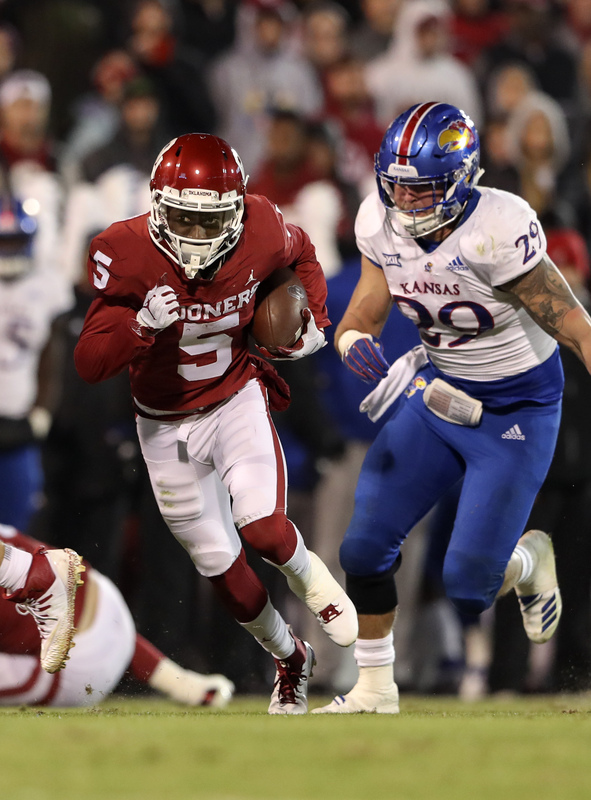 The Oklahoma-honed speedster may be the only guaranteed wideout to go off the board in Round 1, Matt Miller of Bleacher Report notes, after speaking with NFL staffers. Said execs then place Ole Miss alums D.K. Metcalf and A.J. Brown as possible first-rounders, per Miller. That would stand to make the second round potentially filled with receiver investments. The 49ers have some names in mind. On the subject of the 49ers, they visited with tight end Noah Fant recently, per Sirius XM Radio’s Alex Marvez (on Twitter). This profiles as an interesting use of a visit, with the 49ers closely connected to Nick Bosa at No. 2 and not needing a tight end. But San Francisco did do well with its past Iowa investment at this position, with George Kittle breaking out in a major way in 2018. Despite Rashan Gary‘s past as a top-10 national recruit and his Combine performance, another report has indicated his stock has dipped a bit. After a Thursday report pointed to the Michigan defensive lineman dropping, Miller adds teams are concerned about how little his athleticism translated to production (9.5 sacks in three seasons). Additionally, Miller doubles down on the medical concerns surrounding Gary. Some scouts believe there will be issues on that front, potentially with Gary’s shoulder, which was a trouble spot during his Wolverines run. Ed Oliver‘s stock has risen a bit in the days leading up to the draft, and the Bills are in play for the interior defender at No. 9, Miller writes, adding Buffalo wants to add a bona fide interior pass-rushing presence to complement the space-eating defensive tackles it currently employs. The Raiders ditched their scouting staff going into the draft and are expected to overhaul the department under new GM Mike Mayock. On draft weekend, Oakland’s non-Mayock/Jon Gruden staffers involved in the three-day event will be assistant director of player personnel Trey Scott and director of football administration Tom Delaney, Tom Pelissero of NFL.com tweets. Delaney has been with the Raiders dating back to the first Gruden era; Scott rose to his current position under Reggie McKenzie‘s watch two years ago. Michigan linebacker Devin Bush will visit the Ravens on Wednesday, a source tells Ian Rapoport of NFL.com (on Twitter). Baltimore holds the No. 22 overall pick, but they may have to trade up if they want to land him. The Big Ten Defensive Player of the Year is a surefire first-rounder after putting up 85 tackles, 10 sacks, and 18.5 tackles for loss over the past two years. 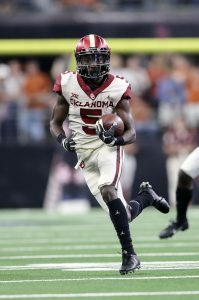 Oklahoma wide receiver Marquise Brown and Clemson defensive end Clelin Ferrell will take their last pre-draft visits to the Titans on Wednesday, according to Rapoport (on Twitter). Both players could be on the radar for Tennessee’s No. 19 overall selection. Houston defensive tackle Ed Oliver will meet with the Bills, Rapoport hears. They’re far from the only team interested in Oliver, however, and the rival Jets are apparently among the clubs keen on him. The Jets would be reaching if they took Oliver at No. 3 overall, but they’ve been vocal about their desire to trade down. Meanwhile, the Bills could conceivably entertain the Houston product at No. 9 overall. Oklahoma wide receiver Marquise Brown had the boot on his foot removed and has been cleared to begin running, a source tells ESPN.com’s Adam Schefter (on Twitter). Brown could still be available for mini-camp after the draft, which should help his stock. Brown is still projected to go in the first round, despite undergoing Lisfranc foot surgery in January. The early word was that Brown would be ready for training camp in the summer, but the latest update on his health shows a faster track to recovery. There has been buzz about Brown’s 40-yard-dash time being in the low 4.3s, or perhaps even the high 4.2s, so his speed and potential still makes him a tantalizing selection. History is on Brown’s side – Western Michigan wide receiver Corey Davis was also sidelined for key workouts in 2017, but he wound up going fifth overall to the Titans. Over the last two seasons, Brown caught 132 passes for 2,413 yards and 17 touchdowns for Oklahoma. Those numbers and Brown’s speed, which he didn’t get to show off in Indianapolis, should lead to him coming off of the board early. Brown put himself on the map in 2017 with 57 catches for 1,095 yards and seven touchdowns. He stepped his game up even further in 2018 when he reeled in 75 passes for 1,318 yards and ten TDs. Oklahoma wide receiver Marquise Brown will not be able to participate in the NFL Draft combine or his school’s pro day, as Adam Schefter of ESPN.com writes. Brown, a projected top-10 or top-15 pick, is still recovering from a January surgery for his Lisfranc injury. On the plus side, Brown is still expected to be ready for training camp in the summer, so the injury may not tank his stock. There has been buzz about Brown’s 40-yard-dash time being in the low 4.3s, or perhaps even the high 4.2s, so his speed and potential still makes him a tantalizing selection. History is on Brown’s side – Western Michigan wide receiver Corey Davis was also sidelined for key workouts in 2017, but he wound up going fifth overall to the Titans. Over the last two seasons, Brown caught 132 passes for 2,413 yards and 17 touchdowns for Oklahoma over the last two seasons. Those numbers and Brown’s speed, which he won’t be showing off in Indianapolis, are a pair of reasons Brown is expected to come off the board early in this year’s draft.